Beautiful Roche Harbor. 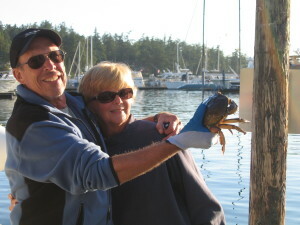 Just back from a quick trip to the San Juan Islands, and Roche Harbor. Even though it was a working vacation (I worked from my laptop), it’s so much better to look out on multi-million dollar yachts, dinghies, kids on paddle boards, and all kinds of boats passing by, than it is to be in my office. 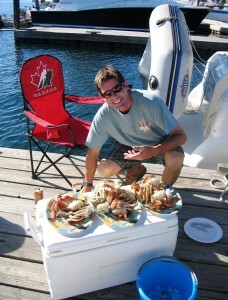 Crabbing started last Wednesday. And people were catching crab right and left. We did well — made limits easily — and a group from the Columbia River Yacht Club that was up from Portland — cooked crab non-stop. 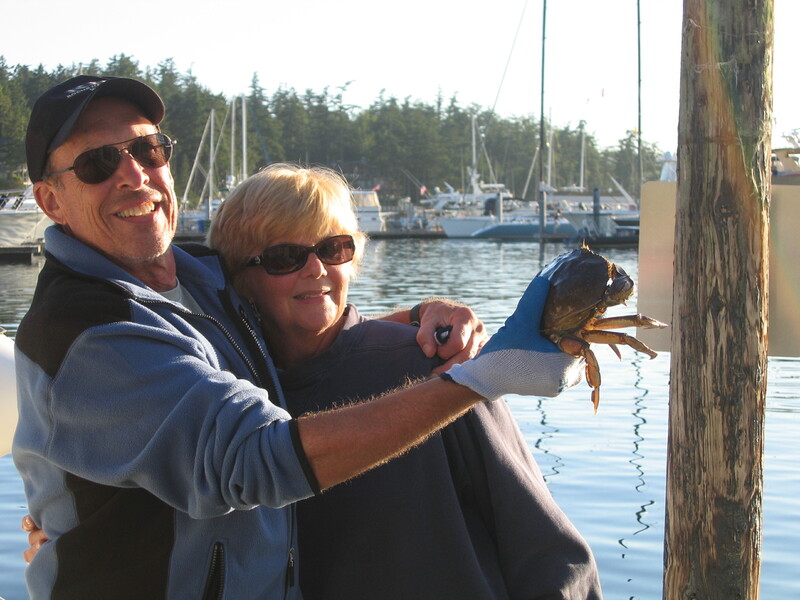 We helped a couple from Virginia, Mike and Sally, learn how to catch Dungeness, and then what to do with them once you have them. Gorgeous weather, with blue skies and warm temperatures. And we had fun taking photos with the cute guys from the Color Guard. “Colors” are where they lower the flags every night right after sundown, set off the ‘salute’ which is a cannon, and make announcements of people coming and going. 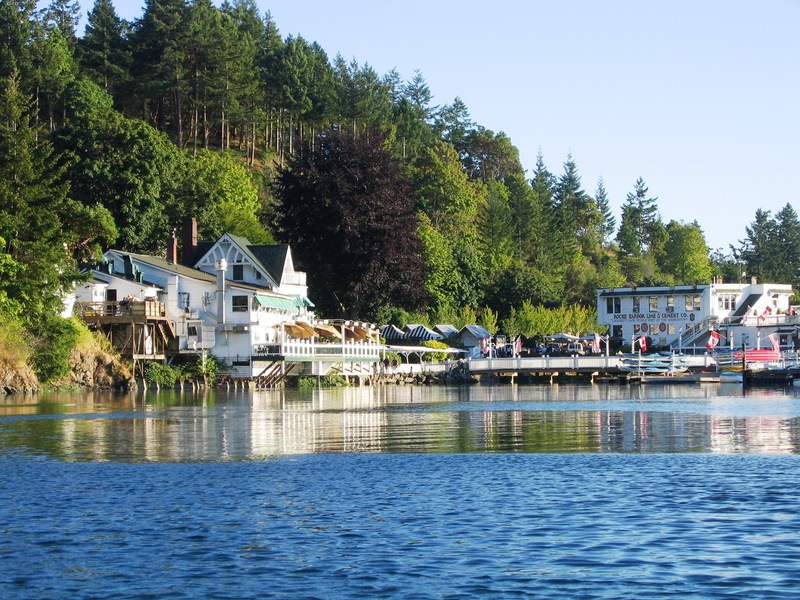 As soon as the announcer is done — you hear boats honking their horns all over the marina, looking forward to fun on the docks, and good weather the next day!